4 Jan 1981 p. 6.1.b.i. E-mail written Apr 2013 to Warren Culpepper from Michael Webb (ggs/o #22693), e-mail address. Iris Culpepper, Dau, F, 7 7/12, TX TX TX. Maurine Culpepper, Dau, F, 6/12, S, TX TX TX. Robert Earl Culpepper, 14 Apr 1895 – 28 Sep 1964. Robert Earl Culpepper, Male, Single, died 28 Sep 1964 in Fort Bend Co., TX. Ruth Culpepper, Female, died 1 Feb 1988 in Fort Bend Co., TX. Sis and Bully (Milton) lived near the Emmitt Schultz's and across the street from Bubba and Bootsie Kliem (R E L and Rachel) for years. The six of them did a lot of activities together. Ranelle added that Sis ""made a great banana cake!" Earl Culpepper is the father of an infant born 16 Sep 1923 in Limestone Co., Texas. [IT:Snooks lives in Venetian Estates in Sugarland.:IT]. Probably Richmond or Rosenberg, TX. Biography* � Mrs. R. (Ranelle Schultz) Krejci wrote: (20 Mar 1994 family history) Fred has a nice tenor voice and loves to sing. As a youth he would visit several churches in the area, including the black ones, just for the joy of singing with them. 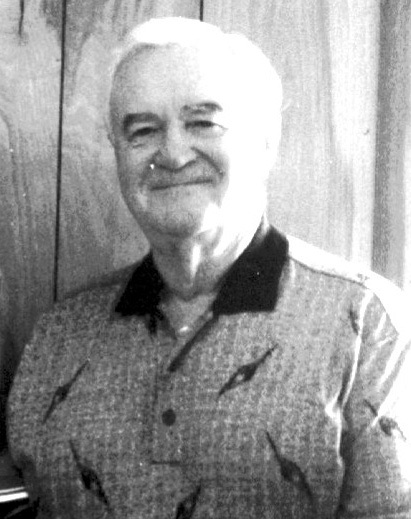 A graveside service for Frederick Earl Culpepper, age 77, of Rosenberg, is scheduled for 10 a. m. Saturday, March 8, 2003 at Morton Cemetery in Richmond. The Rev. Mike Mayhugh will officiate the service. A short visitation will be held at 9:30 a.m. at the cemetery before the service. Serving as pall beaters will be Kent Beckner, Bart Beckner, Douglas Lerner, Todd Randall Burnett, Tom Gupton, Paul Valentine, and Craig Baker. Mr. Culpepper died Thursday, March 6, 2003 in Houston. He was born Oct 27, 1925 to parents, Robert Earl Culpepper and Ruth Johnson Culpepper in Limestone County. He served in the U.S. Navy during World War II on Guadalcanal and in the Solomon Islands. After his years of service, he returned to his home in Richmond, and lived a happy life in this area. He was employed by Investors Diversified Services and later spent 20 years with Walter Pye clothing, store. Fred was a friend to all. He enjoyed his country home in Carmine. He loved to golf, to sing, and to celebrate life. He was a member of St. John's United Methodist Church in Richmond for over 50 years. He would have celebrated 50 years with the Morton Masonic Lodge No. 50 on March 11. He is survived by his wife of 35 years, Lucille Richards Beckner Culpepper; stepsons Fred Beckner and wife Carolyn, of Palo Alto, Calif; Don Beckner and wife Linda, of Bellaire; grandchildren; Bret and Joan Becker of Houston; Bart Beckner of San Jose, Calif; Jaime Gail Beckner of Scottsdale, Ariz; Kent Beckner and wife; Connie; and Kelly Beckner Baker and husband Craig, all of Katy; great-grandchildren and his pride and joy, Brooke Baker, Jaime Baker, and Thomas Alva Baker, all of Katy; and Ryan Loneil Beckner and Madeleine Elizabeth Beckner of Houston. He is also survived by his adored and dedicated sisters, Rachel Culpepper Kliem and Maurine Culpepper Schultz of Richmond; a double first cousin, Edwin Randall Culpepper and wife Peggy, of Missouri City; "special grandson" Douglas Lerner; numerous nieces and nephews; many true and loving friends, and, his special pal "Bonnie." Mary Maurine Culpepper, Female, born __ 1929 in Limestone Co., Texas, child of Robert Earl Culpepper and Ruth Johnson. E-mail written 1994 to Culpepper Connections from Raymond D. Krejci (#23275), e-mail address (Jan 2010). Elone Culpepper, Female, born __ 1932 in Limestone Co., TX to Robert E Culpepper and Ruth Johnson. He was a Navy Medic attached to the Sixth Marines. He walked across Naha Airfield on the April 1, 1945 landing. We have him on film prior to and after the landing from the TV series World at War-The Pacific.... Had his right eye shot out on Okinawa in W W II, prevented him from being a doctor. He was President of his graduating class at the U of H [University of Houston?] Pharmacy School in 1951.... He placed a lot of store in education and the education of others. Produce went to anyone who would take it. We made several Midnight runs to Houston Intercontinental to pick up shipments of birds.... Loved to go dancing-especially "jitterbug." Loved remaking gun stocks and ruining cook stoves. He had many hobbies and did not enjoy anything requiring patience.... [Raymond then added: But he taught me patience!] He played the harmonica and was a fool for taking home movies. If he had seen the advent of video tape there would have had to be an addition to the house just for his tapes! Bully set markers for several cemeteries in the area in his spare time. His favorite pastime was fishing with his grandsons.